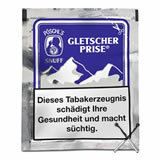 Gawith Hoggarths Loose Rough Cut tobacco packaged by our self's of 50g of finest tobacco products. This dark brown, slightly moist Schmalzler impresses with its delicate tobacco note, which can almost be described as fine. 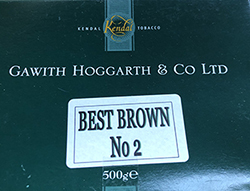 Gawith Hoggarth Best Brown No.2 Pipe Tobacco. 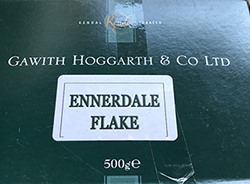 Medium strength flue-cured flake tobacco. 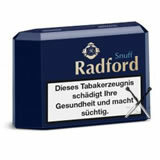 Blended from the finest Virginia and Burley tobacco, 500g in one box. Poschl Ozona C Type 5g snuff round dispenser - Filled with the aroma of ripe cherries. Poschl Ozona O Type 5g snuff round dispenser - Filled with the aroma of Raspberry. Poschl Ozona O Type 5g snuff round dispenser - Filled with the aroma of Orange. 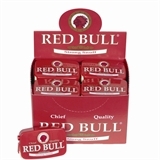 Poschl Redbull Strong Snuff 7g snuff dispenser - Classic strong snuff tin enhanced with natural eucalyptus oil and menthol. Poschl Ozona S Type 5g snuff round dispenser - Filled with the aroma of Spearmint. 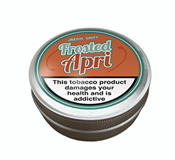 Silver Dollar Apricot Snuff 5g tin. A natural Apricot flavour with a hint of menthol. A fine to medium grind. Silver Dollar Blueberry Snuff 5g tin. A natural Blueberry flavour with a hint of menthol. A fine to medium grind. Silver dollar Cherry 5g Tin. A natural Cherry flavour with a hint of menthol. A fine to medium grind. Silver Dollar Cinnamon Snuff 5g tin. A warm spicy snuff on a fine to medium grind. Silver Dollar Coffee Snuff 5g tin. A caf� latte on a fine to medium grind. Silver Dollar Licorice Snuff 5g tin. A fine to medium grind. 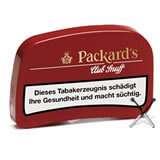 With a strong hit of menthol followed by a medicinal hint of camphor and just a suggestion of fresh lemon. Silver Dollar Natural snuff 5g Tin. A pure tobacco flavour. On a medium grind. Silver Dollar Original Snuff 5g Tin. An SP snuff with a hint of Menthol. A fine to medium grind. Silver Dollar Raspberry snuff 5g tin. A natural Raspberry flavour with a hint of menthol. A fine to medium grind. Mature, strong, rich, leathery almost cigar like tobacco. With a hint walnut oil and cedar to provide an earthy finish. Silver Dollar Spearmint snuff 5g Tin. A herbal Spearmint flavour. A fine to medium grind. Silver Dollar Vanilla Snuff 5g tin. A creamy vanilla flavour with a fine to medium grind. 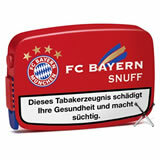 Poschl Ozona Snuffy weiss 5g Tobacco FREE snuff round dispenser - Filled with the aroma of menthol and fruit. Frosted - V2 Thunder Chewing tobacco Bags, approximately 22 bags in 1 can. Poschl Ozona President 7g snuff dispenser - The leader of snuff tin with a refreshing pinch discreetly balanced with flavorsome, eucalyptus oils. Oringinal - V2 Thunder Chewing tobacco Bags, approximately 22 bags in 1 can. 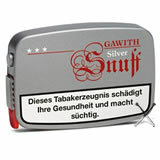 Poschl Gawith Original snuff - A 10g dispenser filled with apricot fruity zest snuff. McChrystals sturco 3.5 g mini tins, A strong cooling menthol snuff for the discerning palate. Chainsaw Dry Cold White - V2 Thunder Chewing tobacco Bags, approximately 22 bags in 1 can. Try the McChrystal's smokers blend S'nuff - this strong nasal tobacco is specifically aimed at smokers wishing to find an nicotine based alternative to smoking. Wonderful sweet citrus experience., yet retaining its smooth identity. Poschl Lowen Prise A 10g dispenser filled scented aniseed fresh snuff tin leaves your sinuses clear and with this scented smell all day. Titanium Original - V2 Thunder Chewing tobacco Bags, approximately 22 bags in 1 can. 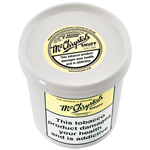 McChrystals Original and Genuine medicated 200g Tub The Original blend, the perfect menthol experience with a recipe unchanged for over 80 years. White Titanium - V2 Thunder Chewing tobacco Bags, approximately 22 bags in 1 can. 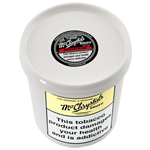 McChrystals 200g tub of smokers Blend a Wonderful sweet citrus experience. IMPORT- Mac Craig Royal 7grams of Snuff with a discreet hint of menthol very smooth. Connoisseurs appreciate its special aroma. X Iceboom White Dry - V2 Thunder Chewing tobacco Bags, approximately 22 bags in 1 can. IMPORT - Poschl Andechs Special snuff A 10g dispenser original Bavarian recipe, enhanced with the aroma of choice herbs from the convent garden of Kloster Andechs. 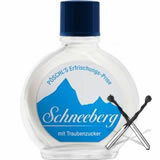 A Fresh aromatic pleasure in a Bavarian-style. 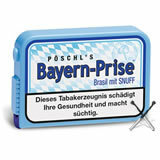 IMPORT - Poschl Bayern Prise Brasil snuff A 10g dispenser tobacco with a fresh hint of menthol. A felicitous combination of Schmalzler and snuff. 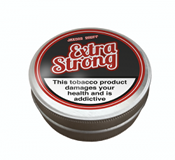 IMPORT- A classic English menthol type Snuff. Poschl range come in a packed box of 20 Dispensers with UK Health Warnings.